Crusoe (the family name corrupted from the German name "Kreutznaer") sets sail from the Queen's Dock in Hull on a sea voyage in August 1651, against the wishes of his parents, who want him to pursue a career, possibly in law. After a tumultuous journey where his ship is wrecked in a storm, his lust for the sea remains so strong that he sets out to sea again. This journey, too, ends in disaster as the ship is taken over by Salé pirates (the Salé Rovers) and Crusoe is enslaved by a Moor. Two years later, he escapes in a boat with a boy named Xury; a Captain of a Portuguese ship off the west coast of Africa rescues him. The ship is en route to Brazil. Crusoe sells Xury to the captain. With the captain's help, Crusoe procures a plantation. Years later, Crusoe joins an expedition to bring slaves from Africa but he is shipwrecked in a storm about forty miles out to sea on an island (which he calls the Island of Despair) near the mouth of the Orinoco river on 30 September 1659. The details of Crusoe's island were probably based on the Caribbean island of Tobago, since that island lies a short distance north of the Venezuelan coast near the mouth of the Orinoco river, in sight of Trinidad. He observes the latitude as 9 degrees and 22 minutes north. He sees penguins and seals on his island. (However, there are no seals and penguins living together in the Northern Hemisphere, only around the Galapagos Islands.) As for his arrival there, only he and three animals, the captain's dog and two cats, survive the shipwreck. Overcoming his despair, he fetches arms, tools, and other supplies from the ship before it breaks apart and sinks. He builds a fenced-in habitat near a cave which he excavates. By making marks in a wooden cross, he creates a calendar. By using tools salvaged from the ship, and some he makes himself from "ironwood", he hunts, grows barley and rice, dries grapes to make raisins, learns to make pottery, and raises goats. He also adopts a small parrot. He reads the Bible and becomes religious, thanking God for his fate in which nothing is missing but human society. 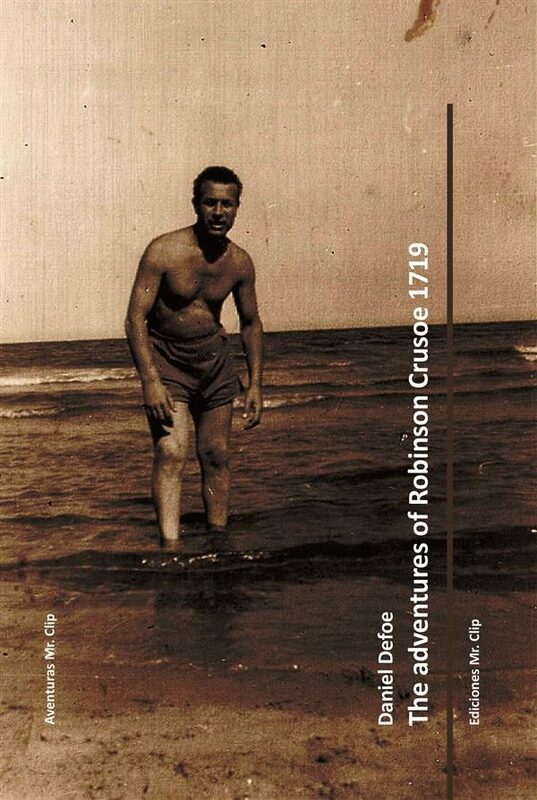 More years pass and Crusoe discovers native cannibals, who occasionally visit the island to kill and eat prisoners. At first he plans to kill them for committing an abomination but later realizes he has no right to do so, as the cannibals do not knowingly commit a crime. .